The micro blogging site Twitter has more than 1 million registered users according to PC Mag’s 2011 data. Athletes, even poker professionals, prefer connecting with their fans using this platform. If you’re a fan of poker and want to get in touch with the latest trend and updates from your favorite player(s), then we have a treat for you. Below, we’ll show you the biggest poker names to follow in the Twitterverse and learn why you need to hear them out. 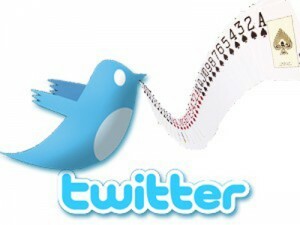 Get the latest news about the World Series of Poker tournament by following them on Twitter. They post updates about what’s trending in the game as well as exclusive news for famous WSOP players. The people responsible for maintaining this account also try their best to reply promptly to fans’ inquiries. This company’s Twitter account made it to our list because it provides followers with the latest and exclusive news about promotions and tournaments online and live. They even have tweets featuring the newest videos and photographs about the poker world as well as their signed players. Follow @PokerNews to get live news and updates about what’s happening on the felt table. Their official account also gave fans a chance to Tweet-Chat with their favorite player during PokerNews Twitter Takeovers. Fans of TV personality and poker player Kara Scott can now send short messages to her directly using social media. Learn more about her interests and hobbies outside of the felt table by reading her tweets. The most popular professional card player known on the micro blogging site as @RealKidPoker has more than 250,000 followers. He also shares useful information including his views about life, the latest happening in the game, and his newest Vlog entries. A former FBI agent, @Navarrotell, Navarro tweets about the art of reading body language. It’s not just helpful to card enthusiasts, but also to those who are interested in the learning about the psychology behind the moves. Sports fans get your updates from the Senior News Editor of Poker News @ChadAHolloway. He talks about football team Miami Dolphins and even some bits of movie buzz. Fans want to learn from one of the best players around. If you’re wondering about where to get tips and tricks of the game, follow Phil Ivey. He answers queries as well as share photos about everything under the sun. Are you interested in learning the secrets of living a good life? Follow Mr. Hellmuth (@PhilHellmuth) and you’ll get an idea of how a big winner relaxes with his family and friends. Blogger, poker fan, and traveler Bill Rini (@BillRini) shares his insights about his hobbies, especially those that concern the felt table. Read his tweets and share in his enthusiasm as you tweet-chat with him about the facets of the game.